Teachers directing courses and faculties often in the interviews, advise students, talking about the horrors of full-time work with low wages and questionable prospects, but those who want to learn this profession does not become smaller. Creative people are attracted by the opportunity to create a vivid motion picture, to give a successful performance and get their merit "Oscar" or at least the applause of the audience. For this, we need talent, but education is also necessary. Get ready for the profession of Director in advance. Write scripts that gather Amateur club, and put skits, performances, organize festivals. If you study in school, take responsibility for the various activities. Collect various materials for their works, they will come in handy when you receive. If you are really interested in this activity, feel free to act on the Director, if the preparation for the exams are a burden to you, think about whether you need this profession. Learn to be a Director in theatre academies, institutes of culture or cinematography. For example, in Moscow there are several institutions offering training for this profession: cinematography, RATI (former GITIS), Moscow state Academy of Natalia Nesterova, GITR (Institute of television), and others. But the first two merit are the flagship of Directors ' training in our country, showing increased requirements to the applicants and conducting a very careful selection. Today it is possible to study not only in state universities but also commercial. To enroll in private schools on a fee basis, it may be easier than in the popular theatre Institute, but in any case very large, so you need to be creativity and your talent. Assess their skills and select the appropriate institution in which you actually will be able to do. Like courses at the selected institution, for example, at the Institute of Cinematography at the directing Department there are courses of vocational guidance, which take place twice a year for three months. It will not give you benefits or the good-natured attitude of teachers on exams, but will allow you to log in. Almost in all universities of the tests begin with a creative competition, which takes place in writing, and sometimes before the exams. For example, the film Institute should send the work with reflections on the theme of the movie that you want to remove, about the observations, with details and scenes from it, you can also tell us about yourself, attach drawings and photos. In the RATI need to send a description of his directorial plans, to explain the meaning of selected performances and to tell about its implementation. This contest evaluates an original approach and creativity. Don't write large works that teachers did not have long to read. Try to be honest and accurate, choose a topic that interests you. Write easier, not literally, and visibly, effective – what you can see. Can also send your stories or poems, but only if they are actually good. The examinations and interviews be prepared for the fact that you can ask about anything: about literature, exhibition of paintings about the war in Chechnya. Be honest – if you've never been to the Tretyakov gallery, say so. Do not use common phrases and "hackneyed" expression. In some cases, examiners can put on some music and ask you to dance, you require to present yourself crazy, to tell a joke. Don't worry, if that's possible. Take a relaxed look. Do and say what comes to mind, it is not necessary to put the framework and think about whether this Commission. Often the exams include written work on a specific topic – it could be a quote from the works of art, quatrain or non-literary topic. Restrictions and specific requirements do not exist – try to get written was interesting. Keep writing as much as possible conversations that avoid complex and intricate figures of speech. There is another way to become a Director – to be trained in specialized programs and courses offered by training centers. For example, in Moscow there are Higher courses of scriptwriters and film Directors who produce decent specialists. The study is built on the principle creative workshop. The competition in them is not so much about the rules of admission are similar – need to pass a written work and an interview. 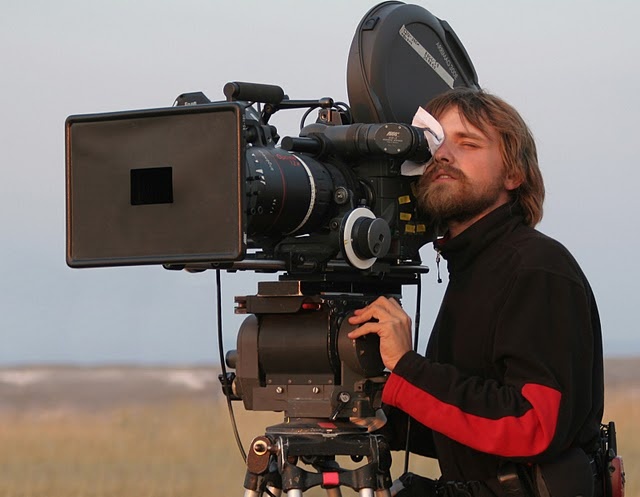 All-Russian state Institute of cinematography - a limit of dreams for many future filmmakers. A UNIVERSITY with a rich tradition and famous graduates. To do it dream of thousands of students across the country. But how to do it? Come to VGIK you can also, as in any University in the country. First you need to collect the necessary documents: the certificate about leaving school, the results of the exam, a certificate of health, passport, military ID or military service registration certificate, and copies of all these documents and 6 photographs of the applicant size 3x4. Each applicant in addition to the mandatory exams is waiting for a creative challenge. But before you begin to pass the entrance exams you need to bring in UNIVERSITY documents. In the selection Committee shall be documents and the application for admission. Starts feeding documents from the end of may. Documents can be brought personally, and you can send in the mail. In this case the letter shall be registered with the notification and poist attachments. After all, they are proof that the documents were accepted. In mid-July the applicant must arrive in person at the UNIVERSITY for the admission tests. This includes basic objects and creative competition. 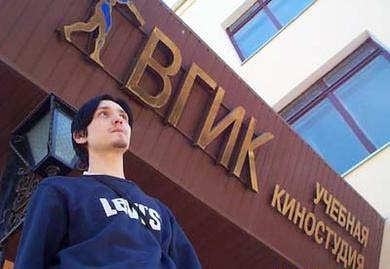 Graduates can also enroll in the UNIVERSITY according to the results of the exam. But from the passage of creative competition, they are not exempt. Then those who scored the highest total number of points credited to the places financed from the budget, i.e. the budget places. Those who could not overcome the minimum threshold of points for admission, may apply for enrollment in commercial places. Classes at the University starts, as everywhere else, since 1 September. The acting profession is popular and attractive. On the screens of televisions and cinemas, the stage we see a successful, talented, famous representatives of this profession. The specialty of actor of drama theatre and cinema can be obtained in higher or secondary special educational institution (school). Choose where you want to go. 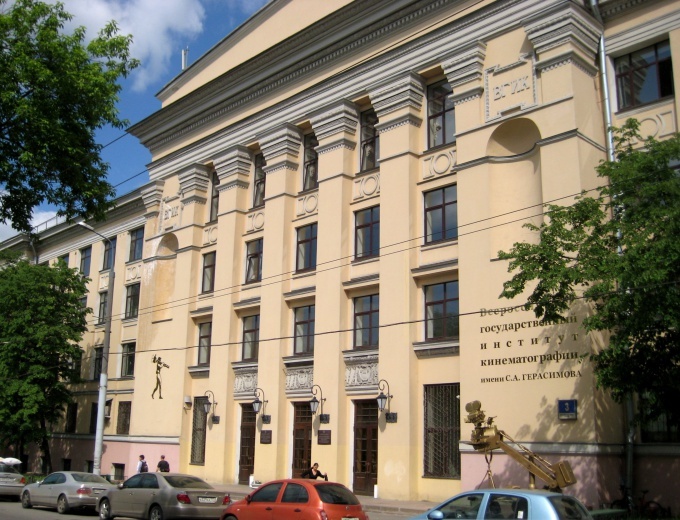 This can be a drama school or acting Department leading higher theatre schools and institutions: Theatre Institute of the Boris Shchukin Institute of the Russian theatre, the Moscow Institute of television and others. Collect required documents: certificate of education, certificates of EGE (Russian language, literature); 6 photos 3*4, military ID or military service registration certificate (for boys), medical certificate, a medical insurance policy. Acceptance of documents usually starts 20th may and ends on 5th July. But in different schools the dates may differ slightly. If you have a diploma of secondary vocational education, or you come from abroad (not studied in Russia), you have a higher education or you are doing the correspondence Department of the acting Department, the certificates of the exam is not required. In this case entrance examinations in General subjects are held in the form, which chose the Institute: for example, Russian language (exposition), literature (interview in the school curriculum), writing (themes offers school). In different institutions entrance examination on the acting faculties in different ways. Find out about this in advance and prepare for the main exam, the skill of the actor. At the Theatre Institute named after Boris Shchukin this exam is conducted in several rounds. After each stage of the examination the Commission conducts the selection of applicants for the next round. In the first round will require the execution of the reading program (reading of the works or excerpts of works of various genres). Prepare reading poems, fables by I. A. Krylov, prose. The second round was a performance of etude (theme to be proposed in Committee). - The third will test your technical capabilities. For this tour we must prepare a dance and be ready to perform the exercises the verification of the plasticity. The final round is the interview on the proposed theme. In April, the Institute conducts training courses. 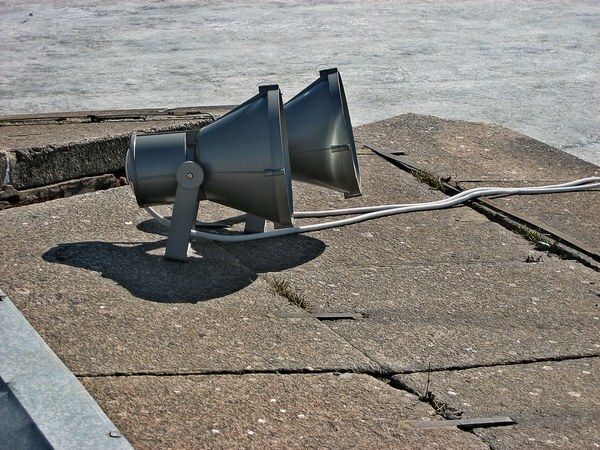 Moscow Institute of television and radio Ostankino (MITRO) also conducts preparatory courses. On them, in addition to classes in Russian language and literature, will help to prepare for creative exam – acting. You will have the opportunity to attend all workshops and participate in student life of the Institute. In addition, you will have the benefits of admission: the creative exam, you will pass the period of the courses will receive a discount on the first year of study at the rate of 10%. 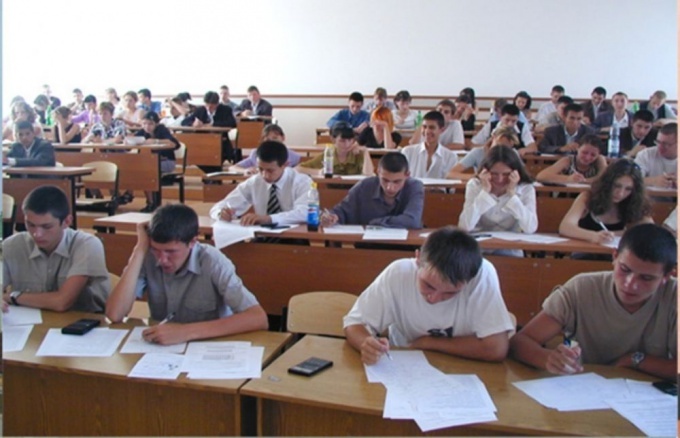 Entrance examinations: Russian language (dictation), literature (test) and acting. Creative competition at the Institute of Russian theatre is held in three rounds. Prepare the program for admission (poem, fable, prose). Select the material that will help you as vividly as possible to open up, show your talent, by your acting skills. Better prepare 3-4 stories 5-6 poems, prose passages 3-4. Use different genres of literature. The second stage - vocal. Note that to sing you have to a Capella, i.e. without musical accompaniment. Third round – plastic. You will need to perform the dance, perform plastic exercises. At the Institute of contemporary art in the acting Department you can get specialty - the art of acting, the qualification of actor of drama theatre and cinema. Creative examination at this faculty consists of the following tasks: reading fables, prose poems; checking the vocal and rhythmic abilities; interview. 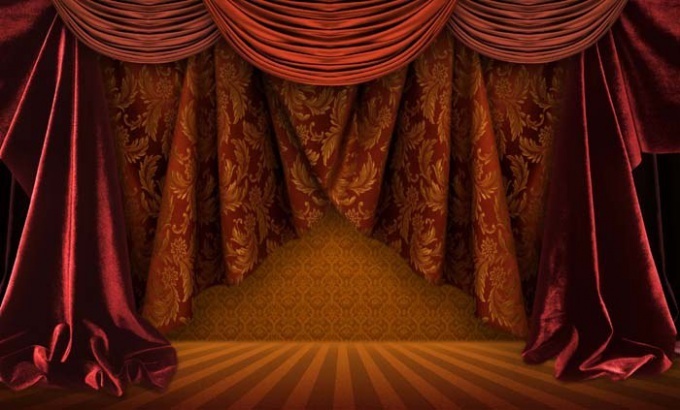 Acting Department prepares actors for regional and national theatres of Russia, opening training at existing theatres. Already released more than a hundred actors participated in such courses under the guidance of the teachers of the acting Department. Department of skill of the actor is very active in teacher training, including for other cities. On the subject of admission to theatrical institutions publish many books as well as write programs for applicants, but the questions the students never ends, and mostly they are the same. A few photos of three of four, learned materials for creative competition. To begin, select a school that will do. You can choose multiple if they are in the same city, and you will have time to audition them. Search the Internet websites of these Universities, check with the admissions office phone number and confirm the exam schedule and the number of documents that will be required to pay for admission. It would do well to find a social networking group dedicated to the students, hang out there with the same as you. Prepare materials for creative competition. It is best to start preparing for the year before admission. You have in Luggage should be around three fables (Krylov, Nikita Mikhalkov, Aesop, Lessing, Rudaki and etc. ), three or four poems, a couple of excerpts from prose and many passages from the plays. If more good. Material pick up on their own (mostly from the curriculum, but do not neglect foreign classics). Generally, in the program notes for applicants often indicate the list of references. Works that you select must be on different subjects, different authors. Take what you know, what you like, what resonates in the soul. With the passage of three creative rounds, try not to worry. Teachers begin to look to you only on the second or third stage. If you pass them – get ready for the test ear for music and stage movement (mostly – coordination, ability to perform light acrobatics). Don't panic if something you have does not work, do as much as you can, don't show your desperation. Clothes for admission choose low-key, simple. Boys suit pants, shirts and sweaters. Girls can wear a dress or blouse with a skirt above the knee, the heel is better not great. For classes samodvizheniya prep sports suit – leggings, t-shirt, ballet shoes. After all the tests you will be essay or presentation, a contest for the interaction (creation of study on the course of execution of the task) and possibly an interview with the master. All these tests pass peacefully, chat with your "fellow prisoners", don't be afraid to interact or ask for help. If still not having any luck to you – it may make sense to enroll in a vocational school or correspondence courses, which, unfortunately, is not in all Universities.